We believe that constant change is the key to business excellence. At Eigen, we always strive to meet the ever expanding needs of the Customer through value additions, new technology and innovative ways of improving productivity. It is that time of the year again when Eigen is all set to take a giant step forward towards technology and innovation. 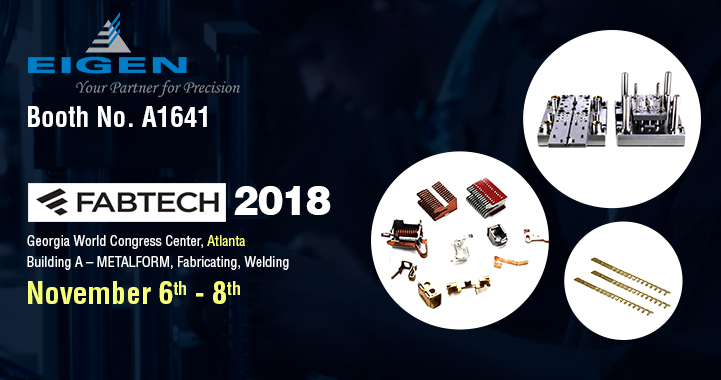 We will be attending the FABTECH 2018 Trade Show, Booth No. A1641, Building A – METALFORM, Fabricating, Welding. 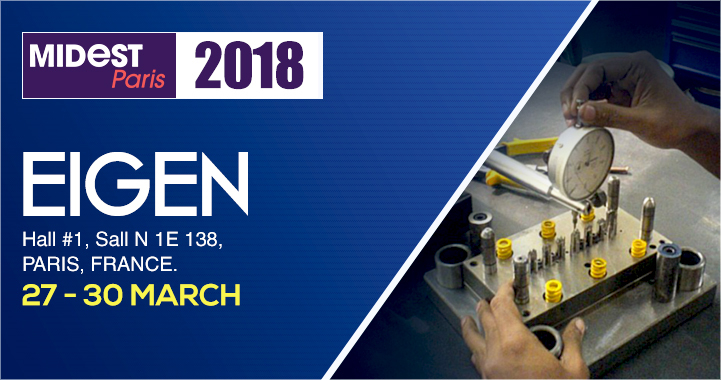 It is an honor to be part of the, FABTECH 2018 – Metal Forming, Fabricating, Welding & Finishing Expo. 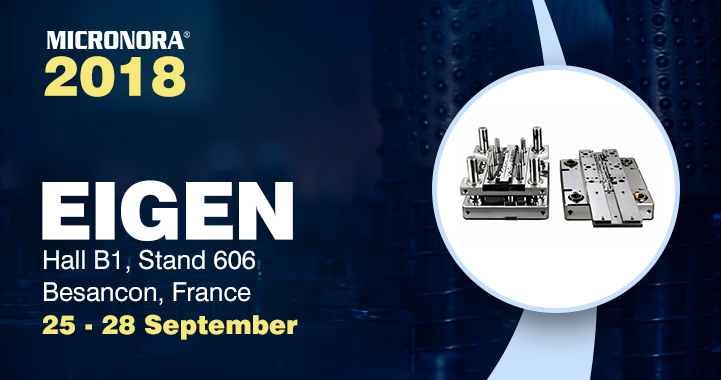 The Eigen team is all set to rewrite history as we are about to join the leading trade show for industrial technology, Micronora exhibition in Besançon , France, Hall B1, Stand 606 from 25th to 28th September 2018. 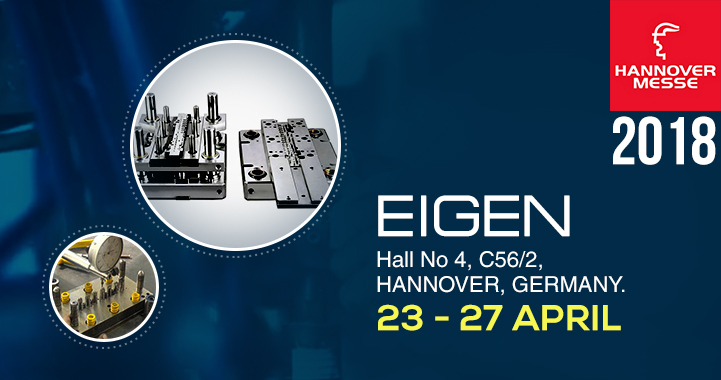 The Eigen team is all agog to join this very specialized trade fair that assembles the entire microtechnology sector and tenders a lucrative multi-technological offer that includes R&D to subcontracting and production technologies. 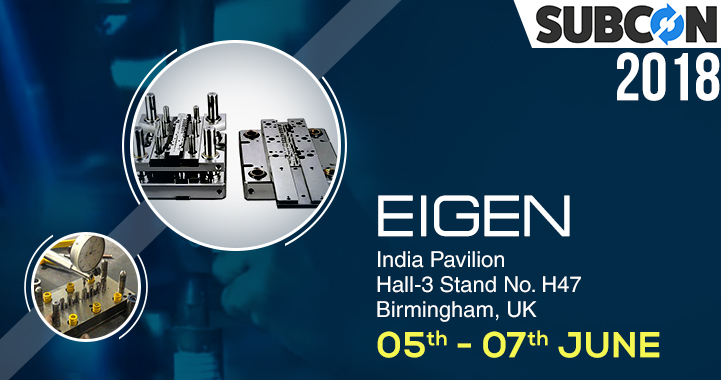 We are delighted to announce a perfect platform for Eigen team when we attend the UK’s Premium Subcontract Manufacturing Supply Chain Show; the SUBCON.This event will be held on 5-7th June NEC Birmingham. This is where the top decision makers in the technology domain will be present. 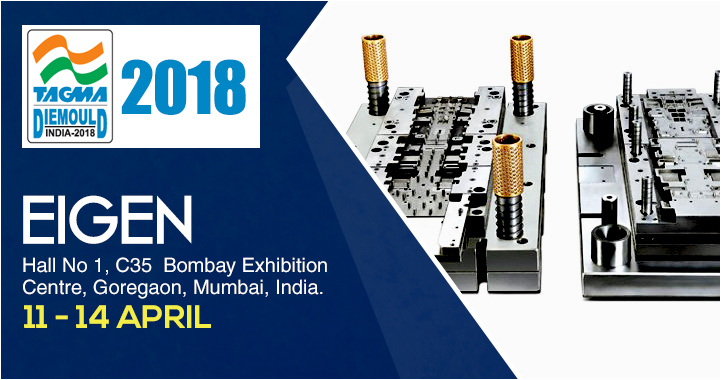 The 11th Die and Mould India International Exhibition held in Mumbai in April 2018, Hall No 1 C35. 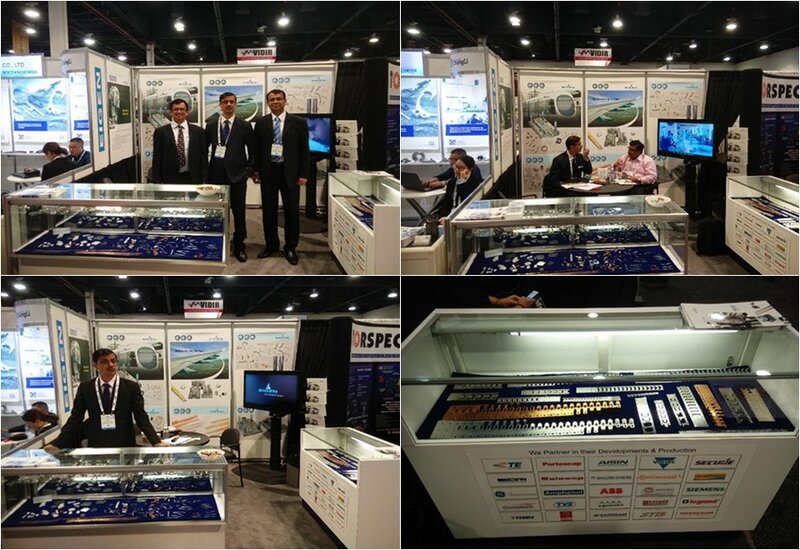 is another great opportunity to participate in conventions and trade shows that have a specific market or niche to focus on.By exhibiting our products we will not only have an exposure to customers who are likely to show a keen interest in your product or services and show an inclination to buy. 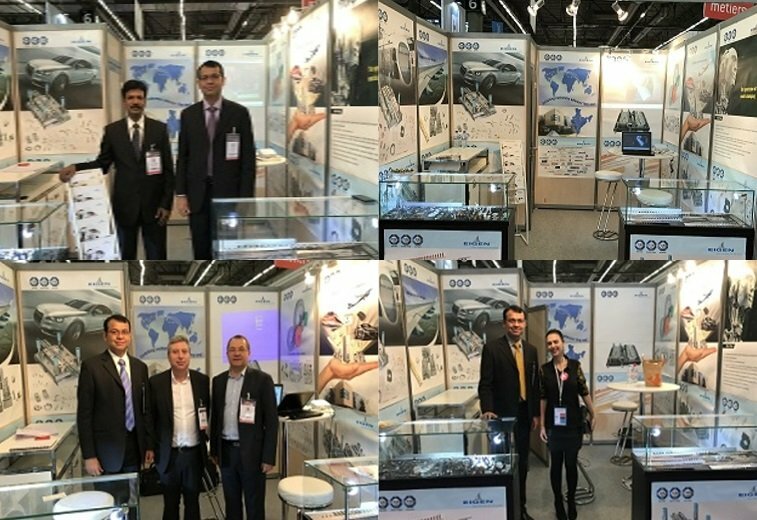 MIDEST 2018, Hall # 1 Stall No IE 138 Paris, France, is a wonderful opportunity for the Eigen team as it will help broaden our horizons and give an unforgettable opportunity to conduct meetings with both current and potential customers.It will help us showcase and demonstrate our latest products and services, gauge and evaluate the work of industry partners and customers and keep abreast of the recent market trends and opportunities. Wow! This is how it feels when our customers recognize our efforts and appreciate it at the same time. 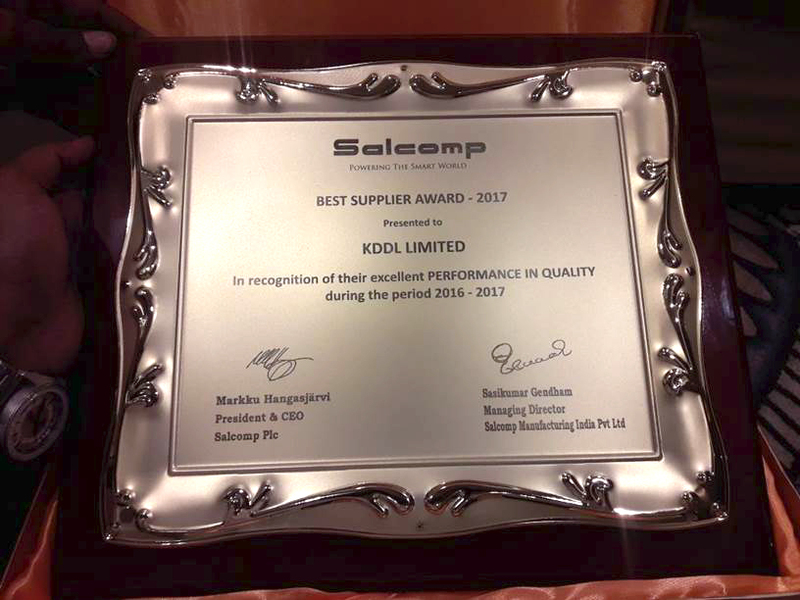 Recently, KDDL Limited – Unit Eigen is delighted to announce about the certificate from Salcomp Manufacturing India Pvt. 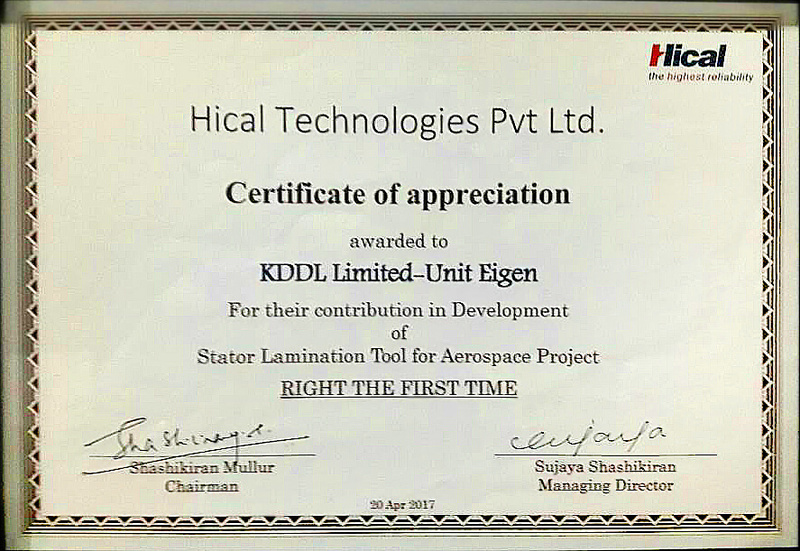 Ltd. We received the award for being the best supplier -2017. 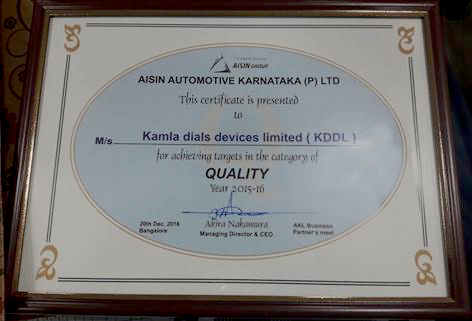 This recognition comes as recognition for our excellent performance in quality. Aisin group was established in the 1965 and since then has always leaped towards establishing a global presence. 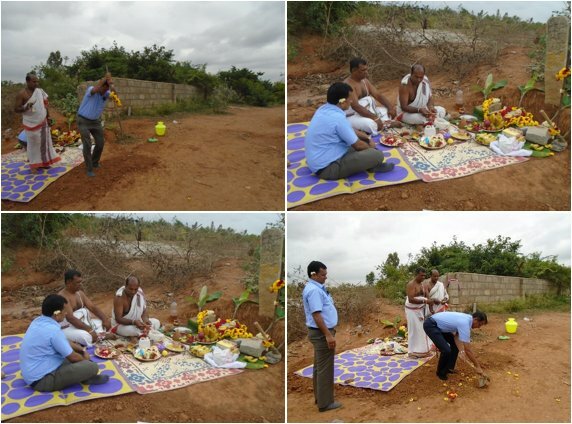 One of the Aisin Plants in Karnataka is renowned manufacturer for brake components for automobile. 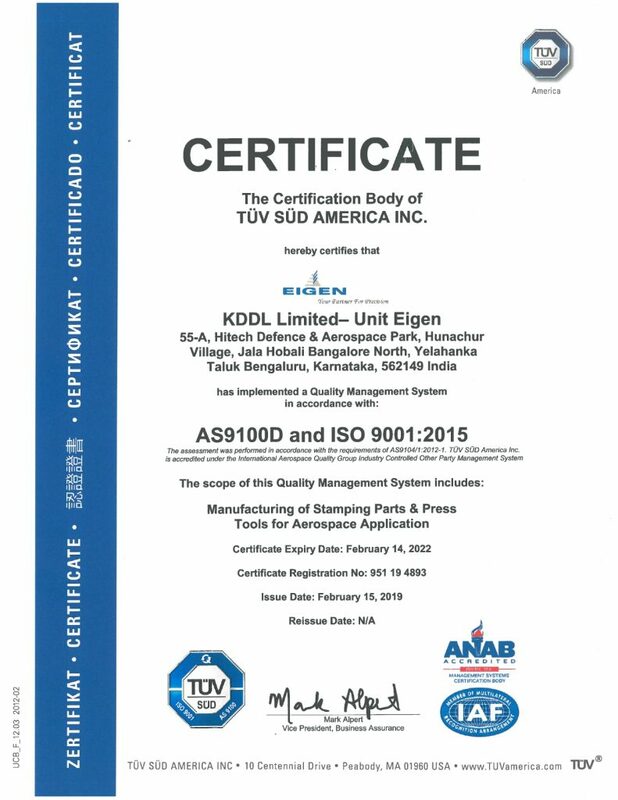 A certificate from such an esteemed organization boosts our zeal really and motivates us as we move ahead with our precious partners that are satisfied with our top of the line services. 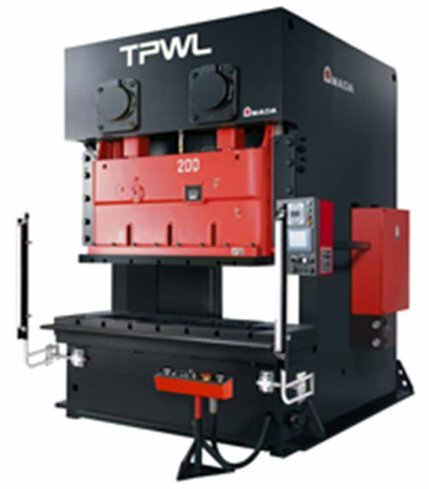 Eigen is working in the precision metal stamping field from around two decades. We love to show our capabilities to our existing and potential customers at special events. 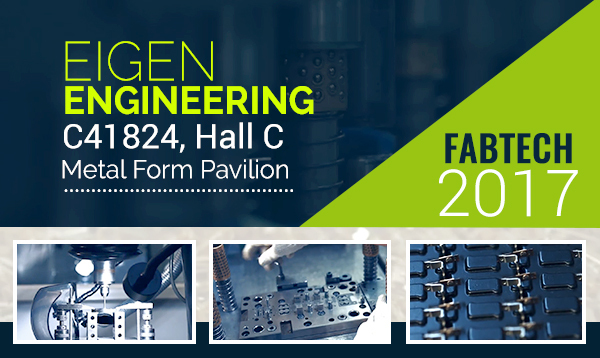 Fabtech 2017 is organized from 6-9th of November. 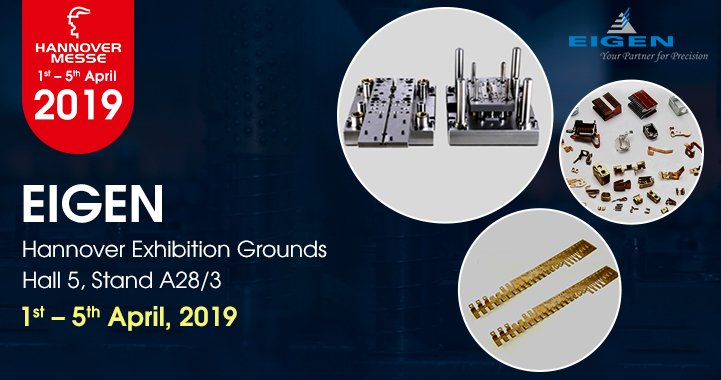 We are excited to present our specialized field of expertise in precision metal stamping at C41824, Hall C in the Metal Form Pavilion. Subcon gives the Eigen team a great opportunity to interact with customers in a less formal setting while showing them the new technology we are using, combined with new services we are offering, and how it benefits them. 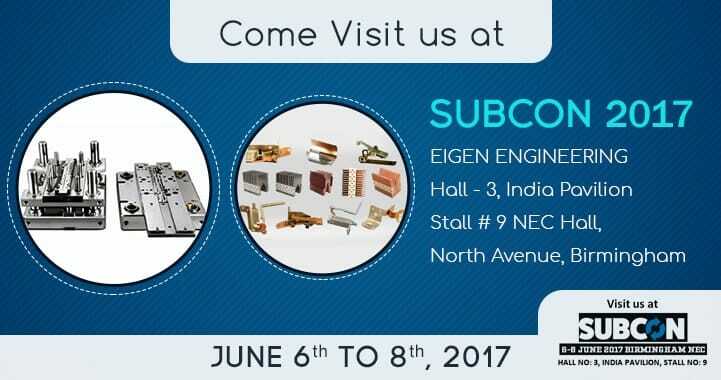 Subcon is the UK’s premier manufacturing supply chain show dedicated to subcontract and outsourced engineering services. 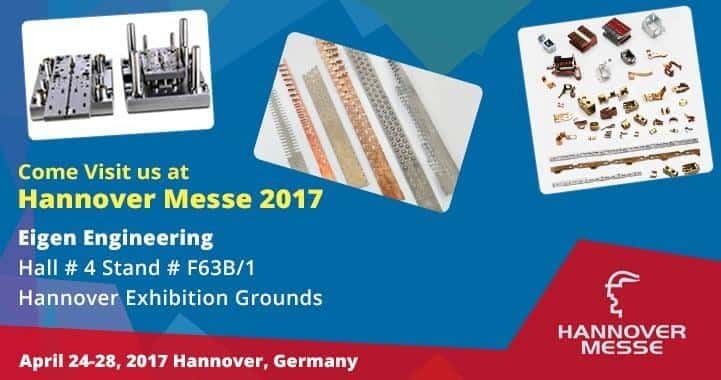 HANNOVER MESSE is a unique opportunity to stimulate growth and identify new customers in previously untapped markets. The 6,500 exhibitors expected at HANNOVER MESSE in 2017 can count on reaching an expert audience of decision-makers who are willing to invest. 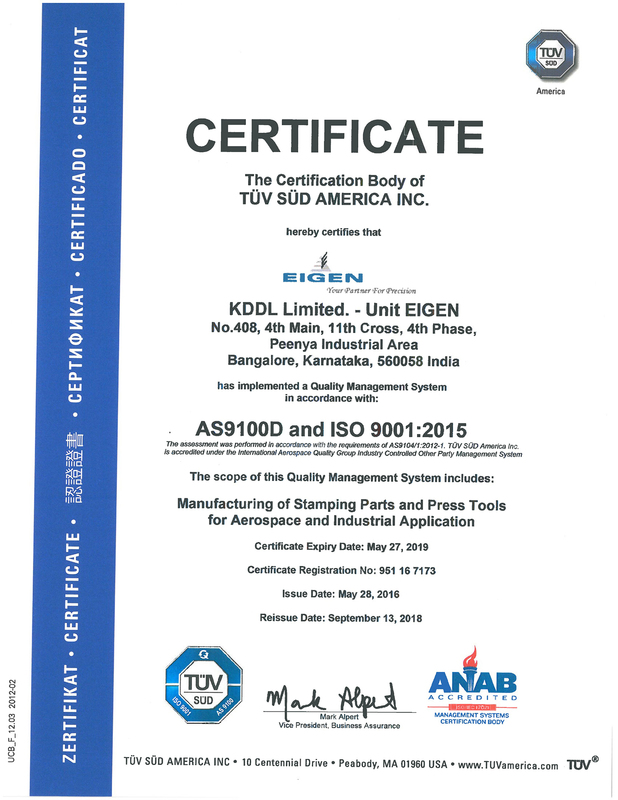 Obtaining the AS 9100D Certification Reflects Eigen Commitment to meeting the Increasingly Stringent Industry Quality Requirements, and Affirms our Dedication to Total Quality and Regulatory Requirements. Capacity enhancement and technological improvement is essential for business growth. To augment our production capacity and also to further reduce lead time, two state of the art high speed presses have been added to the existing production line.